Can I sync my Instagram account to schedule to Pinterest? Schedule your Instagram posts as Pins easily with Tailwind's Pin From Instagram feature. Do you post pretty posts on your Instagram? You can schedule those as pins to your Pinterest account and do some neat cross-promoting of your content! Follow these steps to add or change your Instagram account. To sync your Instagram Account, click on "Pin from Instagram" (located under the PUBLISHER section in the left hand navigation). 2. Click the "Sign in with Instagram" button to sign in (if you aren't already) and sync your Instagram account. 3. 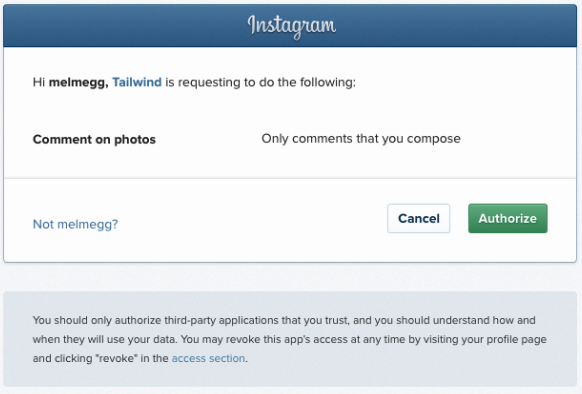 Click "Authorize" in Instagram's pop-up box. 4. 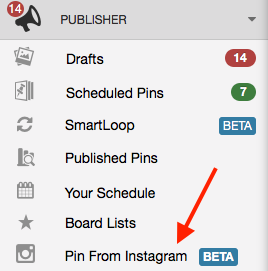 Now you've synced your Instagram Account and can schedule your content as pins to Pinterest!